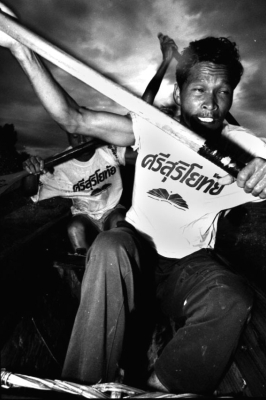 A traditional Thai boat race team practise for an upcoming Boat Race Festival. 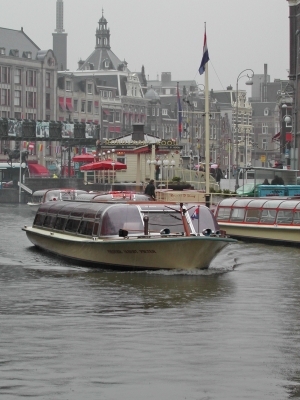 One of many tourist boats plying the canals of Amsterdam. 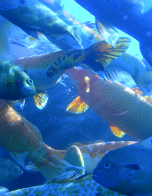 Bream, bass, catfish and koi carp swimming together at Florida's Vortex Spring. 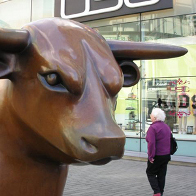 A little old lady dwarfed by a statue of a bull outside Birmingham’s Bull Ring Centre. 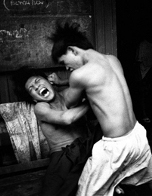 Two speed-crazed Thai youths brawl while anxious bystanders look on.